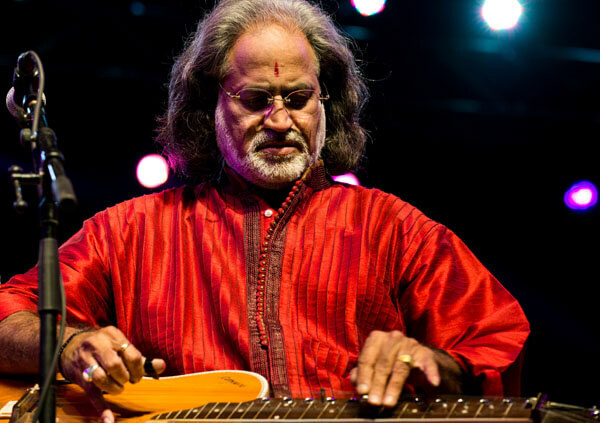 A 1994 Grammy Award winner, disciple of Pandit Ravi Shankar and creator of the Mohan Veena (a hybrid slide guitar), Vishwa Mohan Bhatt has performed extensively all over the world and comes to Hong Kong for an exclusive concert as part of India by the Bay. He is equally well known for his performances as he is for his compositions. With blinding speed and faultless legato, Bhatt is undoubtedly one of the most expressive, versatile and greatest slide players in the world. © 2015 - 2019 India By The Bay. All Rights Reserved by Teamwork Arts.